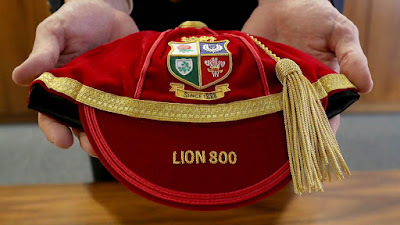 I write to express my delight that, to mark the 130 year anniversary of the first British & Irish Lions game against Otago in Dunedin on 28 April 1888, you have decided to award a hand-stitched ceremonial cap to 419 living Lions players and the relatives of 416 deceased Lions. Whilst I have to confess that I have never played for the Lions and am not the next of kin for any deceased Lion, I would nevertheless like to register my interest in receiving such a cap having narrowly, and often controversially, missed out on selection for each of the 1983, 1989, 1993, 1997, 2001, 2005, 2009, 2013 and 2017 Lions tours. Missing out on the last three tours in particular has been quite galling, especially given my return to the game after a 13 year hiatus in 2007 and my hat-trick of tries against Datchworth 4th XV two years later, not to mention my frankly stunning form in Touch Rugby for the past 12 seasons. At no point has Ian McGeechan, Warren Gatland or anyone else associated with the British & Irish Lions contacted me to explain exactly why I have been omitted from the squads which, you have to admit, is more than a tad rude. If only for this reason I feel I deserve one of your lovely caps. If it helps I am willing to send you a cheque or postal order to cover the cost of postage and packaging - just let me know how much.